we've always meant to celebrate milestones of our Etsy shop with a giveaway here on the blog. 100 sales came and went, and so did 200 sales. so now it is about time to give you a chance to win a little something to say thank you for your support and enthusiasm. 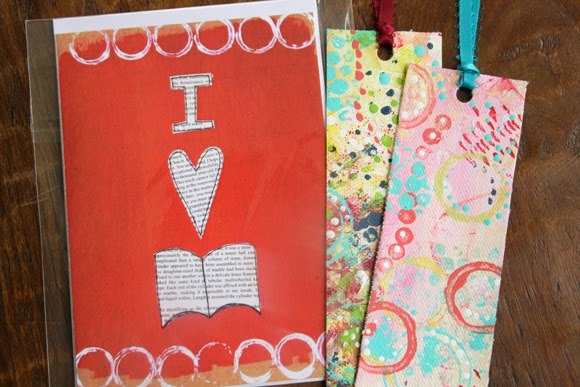 we are giving away a set of original art bookmarks. 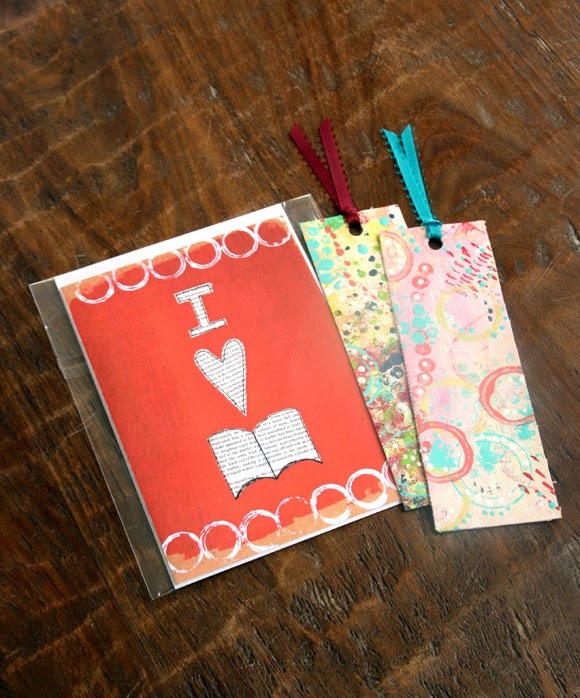 we created these bookmarks just a few weeks ago in a sisterly art session where we painted canvas and later cut out bookmarks from it. the winner will receive 2, so you can keep one and give one away to a friend! also included in the giveaway is a greeting card which is a print of a mixed media piece sylvia made a couple of years ago. all you have to do to have a chance to win is leave a comment on this post. comments will close and the random winner will be drawn on monday, may 11th (a week from now). we ship worldwide, so you can enter from anywhere. Congratulations on the milestone. Please don't enter me since I won before, and love my bookmark, but I wanted to pop in and give my congrats. Sharing your milestones and successes is a lovely idea. I've just popped over to have a look at the Etsy shop - you are some seriously talented people! Congratulations, excellent giveaway. I really want it.